Size: 6"x7". Scale 1/4"=1'. 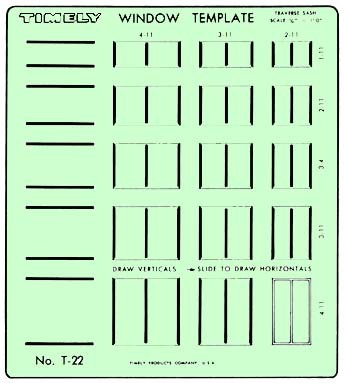 Draws 14 standard sizes of traverse windows.